This year is truly going to be an epic one for all of the Disney parks in both Florida and California. If you’re a Star Wars’ fan, you’ll want to plan your vacation to correspond with the opening of Galaxy’s Edge - either at Disneyland or Disney’s Hollywood Studios - before the full-scale media fervor takes hold. If you and your kids aren’t diehard fans, consider a visit prior to the openings to explore all the other new attractions. A word about crowds and timing: nearly everyone asks me “when’s the best time to go to avoid the crowds?”. Given the cost of a Disney vacation, parents understandably are looking to maximize their time creating magical and memorable experiences with their kids rather than waiting in line. As a parent, I get it. Here’s the reality: Disney has found ways of keeping the parks filled year-round. From RunDisney marathons to food and wine festivals to concert series for young adults, people come to Disney in droves each and every day of the year. So I tell parents to plan their Disney vacations when it makes the most sense for their families. Editor’s Note: One way to get the most out of a Disney vacation is booking through an authorized Disney Vacation Planner. These travel agents know the Disney parks inside and out. Working with an experienced advisor is going to save you both time and money, making the most out of your vacation. The best part? Their services are absolutely free! KidTripster has partnered with Magic Family Getaways. We’re confident in their ability to help families create customized Disney experiences. 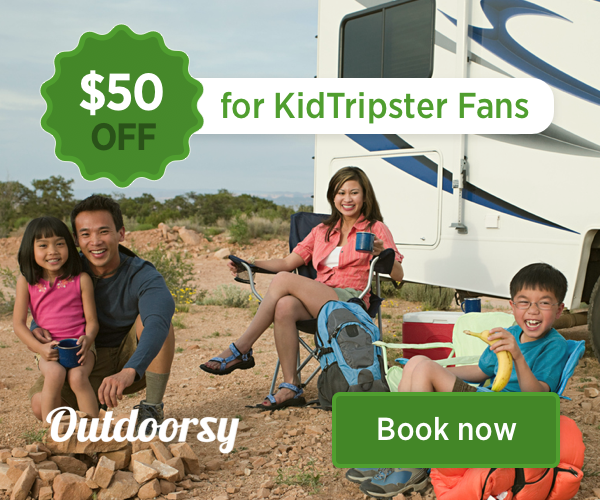 Use this link - specially for KidTripster fans - to contact them. Here’s a rundown of the new Disney attractions so that your family won’t miss a thing! The much-anticipated Star Wars: Galaxy’s Edge is a new 14-acre land that will be opening in both the California and Florida parks. Disneyland will drop the ribbon on May 31, and Hollywood Studios at Disney World will open August 29. Both parks will be very similar with the same feel and the same rides. Here’s the insider intel on what to expect: Disney wants visitors to feel like they’ve actually landed on the planet Batuu. It will be an immersive experience where you’ll share the streets of Black Spire Outpost with interactive aliens and droids. You’ll taste the food and drink on this strange planet, including the blue milk served to Luke Skywalker by his aunt in the first Star Wars movie. The idea is for you to feel a part of this new world. Of course, what would a new Disney land be without rides? Star Wars: Rise of the Resistance will involve you in a battle between the Resistance and the First Order. But the one that I’m looking forward to the most is Millennium Falcon: Smugglers Run where you pilot the classic starship. Move over, Hans Solo! May the force be with us all! Star Wars: Galaxy’s Edge isn’t the only new addition to Disney’s Hollywood Studios. Starting on March 31, Lightning McQueen will be sharing his story with visitors at the Lightning McQueen’s Racing Academy. He’ll be teaching the rules of the road and training us all to be the next generation of race car drivers. Mickey & Minnie’s Runaway Train is expected to open at Hollywood Studios in late 2019. The hype around this attraction is huge! The ride starts with the premiere of a new cartoon short with Mickey and Minnie preparing for a picnic. As they head out, they drive alongside a train, engineered by Goofy. That’s when you step into the movie and become part of the wacky and wild adventure. Feel like dancing? Mr. Incredible, Mrs. Incredible, and Frozone will be hosting a daily dance party called The Super Shindig. After you’ve had a chance to dance with the “Supers,” I’ve heard that super suit designer Edna Mode will be doing meet-and-greets. Mike and Sulley from Disney Pixar’s Monsters, Inc. also will be available for photos and autographs. Guests will need to slip through a special door to find them. Mickey & Minnie’s Surprise Celebration is a new, musical celebration taking place on Main Street, USA in the Magic Kingdom, featuring a parade, live entertainment, character meet-and-greets, and special food and drinks. Disney says beloved characters from both the past and present will be on hand. Epcot’s IllumiNations: Reflections of Earth will be ending during the second half of 2019, making way for a brand new nighttime spectacular. Disney is being tight-lipped about this one, simply saying that a fireworks celebration will be part of the new reveal. The multi-year transformation of Epcot is supposed to incorporate new experiences while staying true to Walt Disney’s original vision for the park. You’ll have a new way to get to both Epcot and Disney’ Hollywood Studios in 2019. A new gondola system is going to connect both parks to four of the Disney resorts: Disney’s Art of Animation Resort, Disney’s Pop Century Resort, Disney’s Caribbean Beach Resort and Disney’s Riviera Resort (expected to open in December). I’m sure that this new addition will make travel to the parks from these resorts much smoother and quicker. Disney loves coordinating new park events with movie releases. On July 19, the Disney live action feature of The Lion King will hit theaters. To celebrate, Disney’s Animal Kingdom will debut a new dance party and a re-imagined light show. Feel the love during the Hakuna Matata Time Dance Party, hosted by fan favorites Timon and Rafiki. There’ll be a chances to take photos at the park entrance and at Discovery Island in front of cool, dimensional backdrops inspired by the movie. If you can believe it, this year marks the 25th anniversary of the original The Lion King! The iconic Tree of Life will awaken in a whole new way. Starting Memorial Day weekend and running through the end of September, the tree will be illuminated with stunning projections - all set to music that pays tribute to the classic film. So grab your Mickey ears, and I’ll see you at Disney! If you’d like help planning a Disney park visit, Disney cruise or Disney resort vacation, click here. Please know that if you book a trip with Magic Family Getaways, KidTripster gets some coffee money at no cost to you. Thank you for your support.